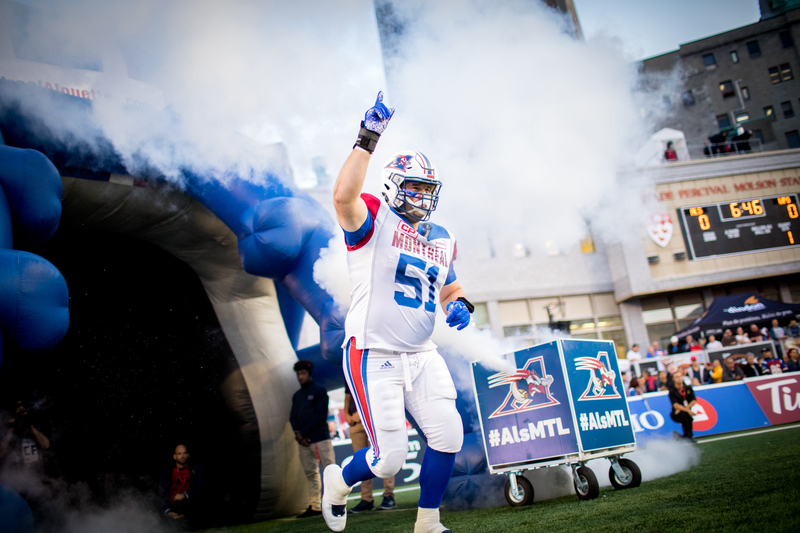 2016: Signed a contract extension with the Alouettes on Jan. 11. 2010: Signed with the Alouettes on July 14. 2010 CFL Draft: RD 1 (7), Montreal Alouettes. 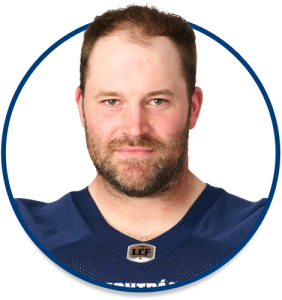 Thanks to the relentless work of the St.Hubert, QC native on the offensive line, the Alouettes currently sit second in the CFL for rushing yards (1,639) and rushing yards per game (96,4). His constant work in an offensive line that was greatly affected by injuries in 2017 helped running back Tyrell Sutton climb to the fifth spot among CFL rushers with 843 yards in only 14 games. Prior to all the these injuries, he was part of an offensive line that did not allow a quarterback sack in the first three games of the season. The former Concordia University Stinger is currently in his eighth season with the Alouettes and he will have missed three games in 2017. Matte took over at the centre position at the start of the season to fill in for teammate and friend Luc Brodeur-Jourdain, sidelined with a knee injury, and did not miss a single start in 18 games. A pillar on the offensive line, the veteran lineman worked with two rookies on his squad, while working with four different quarterbacks. He helped runnong backs Tyrell Sutton and Brandon Rutley both rack up over 400 rushing yards on the season. 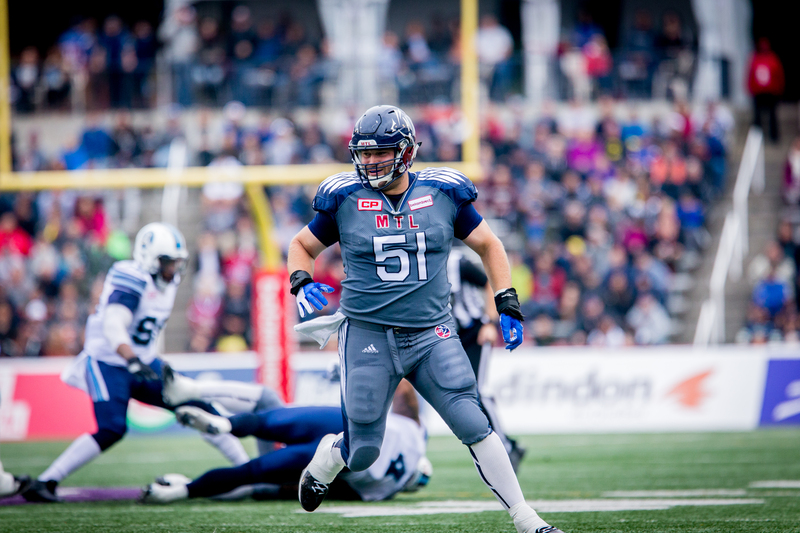 Matte started all 18 contests for the Alouettes, once again being an example of consistency throughout the season. He continued to highly contribute to the success of the Alouettes’ offensive line that was once again dominant last season allowing only 33 sacks on 557 passes attempted. The Alouettes running game also benefitted from the excellence of the offensive line, dominating the league with 382 rushing plays and finishing second in rushing yards with 2,076.
contribute to the success of the Alouettes’ offensive line that was once again dominant allowing only 31 sacs – good for second fewest in the CFL – on 558 passes attempted. Matte dressed in 18 regular season games and made his first career start on August 22. He was part of an Alouettes’ offensive line that allowed just 41 sacks- good for second fewest in the CFL. Matte dressed in 11 regular season games in 2012, providing the Alouettes with the flexibility to cover both guard positions. In his second game, Matte helped pave the way for rookie running back Victor Anderson to rush for over 100 yards. 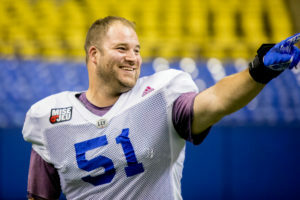 Matte’s first game in 2012 came against the Winnipeg Blue Bombers on August 3 as the third-year guard played primarily in short-yardage situations allowing the running game to pick up seven of the teams’ 21 first downs. He attended mini-camps with the Houston Texans before joining the Alouettes at the beginning of the season… He missed Games 6 through 14 with a peck injury and Game 17, the East Final and the Grey Cup with a wrist injury. He played eight games in 2009 and was a CIS second-team All-Star and a Quebec Conference All-Star. Matte continues upon the success he enjoyed while playing for the Concordia Stingers. During his time with the Stingers, he was a second-team CIS All-Star and a Quebec Conference All-Star. He played his AAA collegiate football with the Vanier Cheetahs. He is bilingual and studied leisure sciences. His impact is also felt on the field and in the community as he continues to participate in the Together at School with the Alouettes program.